The world-famous talking moose and flying squirrel are back in The Adventures of Rocky and Bullwinkle, a comedy about two goofball friends who end up in harrowing situations but end up saving the day time and again. As their silly ambitions dovetail with Fearless Leader’s sinister plans to take over the world, they are set on a collision course with his notorious super spies Boris Badenov and Natasha Fatale. 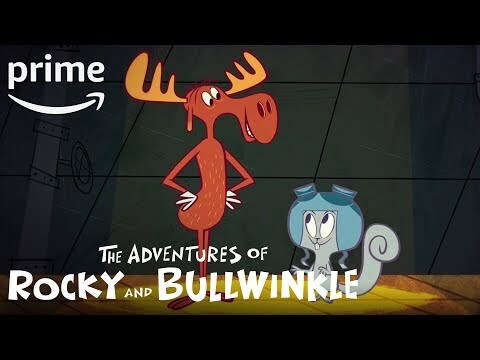 The Adventures of Rocky and Bullwinkle Season 1 was released on Amazon 346d ago in the US and the UK. Notify me when The Adventures of Rocky and Bullwinkle Season 1 is available.